Société Auguste Vestris - So much for princes! Prince Harry to The Telegraph, January 22nd 2013. Or how, over the past three decades, the energy that would otherwise be thrown into mastering ideas and putting them to the general good, has been diverted to blood-lust by the élite to which Harry belongs, and which rules the entertainment industry. That same intent has resulted in William Shakespeare being cut from the curriculum of schools and universities in the English-speaking world and banished from the boards - unless in versions as bad or worse as the 18th and 19th Century ‘acting-versions’. Nicely so arranged, as to ensure that the way Shakespeare uses language is no longer understood. First titillating, and now manipulating the brain through images deceptively impressed upon the eye is how the entertainment industry, the cinema and most peculiarly video-games, operate. All serious learning has ever however, been based not on the eye but on the mind’s ear – viz., on aperception and apprehension. Placing under the scrutiny of conscience what the senses believe they have perceived, is essentially what Aperception means. “Obviously, [the actor] needs to comprehend as well as [he] can, what the lines mean. But … the other aspect of the actual sounds, the textures and the rhythms, invoke a word which perhaps we don’t understand so well today. The word is ‘apprehension’ as opposed to ‘comprehension’. Something we sense. ‘Apprehension’ to the Elizabethans was a very palpable thing … how rhythms, sound and texture could combine with comprehension, to bring about something which goes beyond just the sense” (Playing Shakespeare, Methuen, 1984). What might it be, out there, “beyond just the sense”? While a significant writer’s work will doubtless have a literal meaning, there remain longer in the mind non-literal thought-objects tuned to the pre-conscious, and which reflect its struggle against entropy (for our purposes here, let us define entropy as any variety of closed logical system or itemised process), and towards actual thinking, “the Essence of which, is Change”. So we do need to listen. “If we don’t reach our audience, we fail. We must make them, above all, listen. It’s so easy for an audience not to listen, particularly with a knotty and difficult text. I don’t believe most people really listen to Shakespeare in the theatre unless the actors make them do so.” John Barton, Playing Shakespeare. Knotty was Shakespeare in his own day. Although he may have helped to edit the 1610 edition of the Bible, the latter’s syntax is simpler, while Ben Jonson’s is childsplay by comparison. The only Elizabethan texts more involved are those by esoterics writing for a coterie. Only because the ideas could be expressed no other way, did Shakespeare write knotty and difficult. Accordingly, the key problem in technique before the Shakespearean actor, is to train the voice. 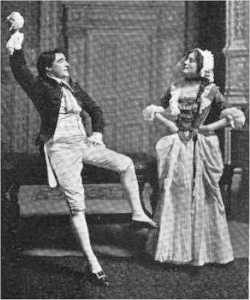 The technique is closely akin to that of the opera singer, with three further hurdles: the actor must make the sense understood in every word; take on, as though a mask, his character’s voice; and effortlessly slip into slang or dialect. Seventy years of radio, television and electronically-‘enhanced’ voice-emission, have persuaded the acting profession that a rigorous training over several years, that calls for transformed posture and deportment if the voice is to emit and project along its entire range, is scarcely worth the investment. To three generations of film and television actors, Shakespeare is, if anything at all, a sideline. They haven’t the technique. All this to say, that most of us have never heard Shakespeare, which means, the English language, spoken as it is meant to be heard. People say Italian, or Russian, are beautiful languages. They are. But English as Shakespeare heard it, the echo of which one still hears in Scotland today, is it no less, with its strange, harsh contrasts and consonants: the trilled R, the soaring diphthongs, the bell-like Eng, the knife-like S or scudding voiced and swishing unvoiced Th … Like its early Danish ancestor, it is also very much a tone-language; dozens, more likely hundreds, of pairs being distinguished only by tone-height (black bird, blackbird…). Overall, the frequency range, measured in octaves, is more than double that of French; its speech music surging forwards like a choppy sea. The idea-world beyond language obeys the same laws as the idea-world in general. The Platonic Form of language, is a hypothesis, that lies above all discrete sensuous forms of known spoken language. It stands for the ever-shifting ideal, which “all the Breathers of this World”, aspire to, innately: “a” language able to express the infinitely-coursing changes in the human mind – which is of course impossible, and which only music of all sciences, more nearly approximates. The closer a spoken language reaches to that Form, in all its aspects – the glittering rainbow of its sound-system, the vastness of its vocabulary and above all, the power of its syntax - the greater delight its speakers experience in “flexing their mental muscles”. Those who have once tasted the delight of using the mind in this way, are somewhat less likely, shall we say, to seek delight in wanton killing. What every English-speaker immediately recognises when faced with a competent Shakespearean actor, is a leap upwards to a form of speech that draws him towards his own perhaps unuttered, but highest aspirations. If Shakespeare is “knotty and difficult”, it is because he himself struggled to bring a torrent of ideas that would otherwise have remained too complex for lesser minds, into intelligible form. What is known as heightened language in the theatre, happens to be the only language able to carry those ideas. On stage, reliance upon a formal verse structure like blank verse in iambic pentameter, where verse and prose alternate in states of reality like harpsichord-registers, presents many advantages. Through the musical cadences, the actor will more readily recall his lines; non-literal ideas appear; there is a distancing (Verfremdung) from the banality of ordinary life. Hardly typical of the humdrum. Although these aspects do not in themselves suffice, the “poetic drama”, i.e. the verse-play, tends to be the vehicle for ideas other than the humdrum. In 1847, a critic spoke of Samuel Phelps’ work at the Sadler’s Wells as “the first step in restoring the poetic drama to the stage”. Why the poetic drama? Old wives too tell good tales. If the playwright merely tells a tale, he will be driven to make it an ever-more sensational one. If, however, the tale is but a vehicle, a metaphor, he will be working in the domain of “apprehension”. A competent performance having become the rarest of events, thanks, in good measure, to what Thatcherian in poi budget cuts have done to repertory-prenticeship, few of our contemporaries have ever seen even one of these plays well-acted. When they are, each actor is an instrument in a chamber orchestra. Each is a life. Each incarnates the quintessence of the character he impersonates, becoming it, while bearing the awesomeness of that individual, and that bygone age. It is essential to acknowledge the plain fact, that never did Shakespeare write to be read in the privacy of one’s study. A reader alone can only “read” what lies within his own mind - when the plays are played, he reads the working of twenty minds on that same material. The declared reason why the men and women whom we shall discuss today, embarked on their various schemes to bring Shakespeare to the working class, is because they considered the mind of the people to be the true wealth of nations, and beauty, a Right of Man. 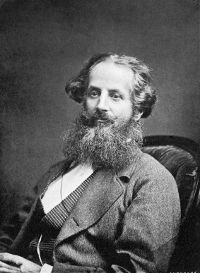 Although others, and notably Sir Frank Benson, did significant work over the same period, Benson himself acknowledged that he was wont “to make muscular activity do duty for mental perception.” Our subjects have been chosen because they were driven, not by muscular activity alone, but by ideas of irresistible power. Victoria and Empire have given the Victorian Era a very bad name. But there was another, revolutionary current, whose aim was to make Government of the people and by the people possible, by cutting the fetters of backwardness. It was Shakespeare whom they seized upon as their chief ally. Elsewhere, the impulse took different forms, as with Cavour and Verdi in Italy. What Phelps, Ben Greet, William Poel and Lilian Baylis began must be pursued today in the English-speaking world. Elsewhere, the impulse will take different forms, as we see with El sistema and its orchestras founded by Jose Antonio Abreu. Although today forgotten, Samuel Phelps is the greatest of the figures we shall discuss here. In so few pages, one can but sketch a glorious career that spanned sixty years, and became the subject of hundreds - thousands perhaps - of press reviews and articles. Astonishing is how those many articles all reflect the degree to which Phelps, without ever uttering a word publicly on political conditions, succeeded in conveying through his own acting and that of his troupe, the idea of the Public Weal. As an actor, Samuel Phelps was held by his contemporaries to be the peer of Edmund Kean and William Charles Macready. As a theatrical manager and producer of Shakespeare, he was a genius, driving to raise the condition of the English working class. That is explicit, and, as we shall see exceedingly well-documented by many and by no less than Charles Dickens, who stood in awe of him . Phelps was born at Devonport to a prosperous merchant family, although he was left an orphan as he reached the age of sixteen. Bitten by the stage-bug, he went up to London in 1821, and put himself out as a prentice reader to the newspapers, where he swiftly became very proficient. In the meantime, he tried his hand at amateur theatricals, came to the notice of a manager, and was eventually to join one company of strolling players after another, touring through the entire British Isles, learning hundreds of roles (a different play generally being on every night) and acquiring, under conditions of great hardship, the tools of the trade. There, from the older players, he learnt time-tested interpretations and stage business. On free afternoons, he studied voice and declaimed poetry. Phelps was not then a star; enormous fees, even by today’s standards, were commanded by those who were. While playing at Bath, Fanny Kemble for example commanded £100 a night, the equivalent, in purchasing power, of roughly £10,000 today. For his part, Phelps had often to pawn his belongings. Married at the age of twenty-two, by 1835, he had three children to support. Often, he would be walking for hours across country through driving rain or sleet, dragging the theatrical properties in a canvas-covered barrow. One can only imagine the drive that sustained him, which later events shewed to be a moral impulse of the highest order. 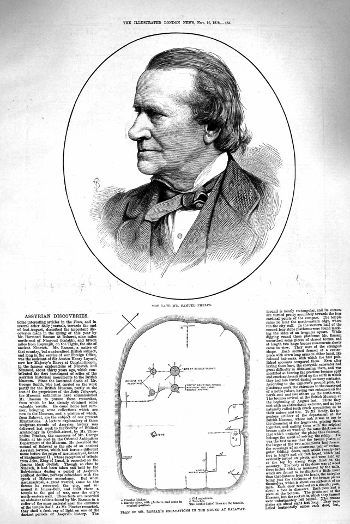 The breakthrough came at 1836 at Exeter, when Phelps was thirty-two years of age. By then, he was playing leading roles in Shakespeare; at Exeter, reported the Globe, “Mr. Phelps, the tragedian, is creating a sensation”. What was that? In 1971, an American scholar, Shirley S. Allen, published the only biography of Samuel Phelps in the 20th Century. Professor Allen made a careful study of countless newspaper reviews of Phelps’ performances and concluded that it was at Exeter that the originality of Phelps’ approach first came to light. And another wrote of his Exeter Richard III, “breaking through all the commonplaces of precedent… he throws himself upon the chance ... of being measured solely by the standard of the poet’s meaning”. These successes led to a proposed engagement, first at the Haymarket, and then with Macready at Covent Garden which he took up. On moving to London, however, Macready’s implacable jealous  (they became fast friends only on the latter’s retirement), bound him to a seven-year underling’s contract from which a string of crack lawyers failed to pry him. 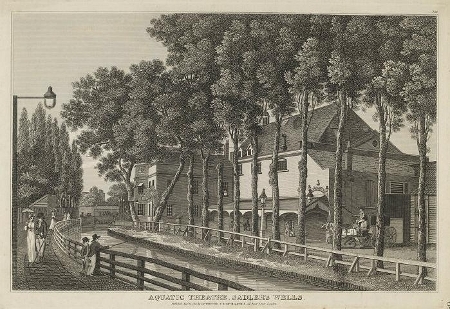 Eventually breaking from Macready’s grip, in 1844 Phelps, after casting about for a suitable theatre-lease, suddenly quit the West End and moved to a then-remote and rundown suburban theatre: the Sadler’s Wells at Islington. His business partners were his close friend the great actress Mary Amelia Warner, and a businessman called Greenwood. In 1642, the Revolutionary Commonwealth rang down the curtain on all theatrical performances. At the Restoration, Royal Patents were cautiously issued to two Londoners only to form theatrical companies in 1662, one at Lincoln’s Inn Fields (later removed to Covent Garden) and t’other at Drury Lane. As political satire raged on at private clubs and venues, by 1737 a crackdown on the spoken word by the Lord Chamberlain led to the passing of the Theatrical Licensing Act (1737), the censorship articles of which remained in force until, unbelievably, 1968. 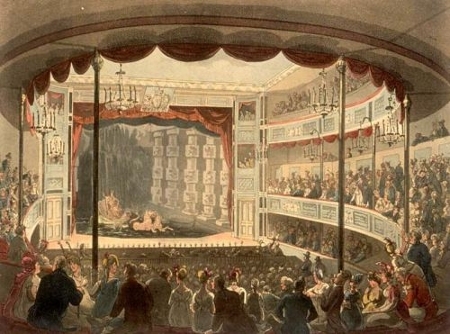 Under that Act, the two West End theatres alone, Covent Garden and Drury Lane, and the Haymarket in summer from 1766, held the London patent for spoken theatre, as opposed to opera and ballet, pantomime, vaudeville or animal acts. Theatres Royal were licensed in the major provincial towns, in Scotland and in Ireland. The licensed theatres were known as the legitimate playhouses. In 1843 a Theatres Act repealed the legitimate theatres’ monopoly. Having lost their monopoly, the established West End houses looked to French burlesque and boulevard theatre as money-spinners (the Terror and Napoleonic dictatorships had made the French chary of anything but fluff on stage), and began to invest in spectacular productions, too costly for any minor or provincial theatre. Owing to that heavy investment, then (as now!) a long run became the norm, to the detriment of an alternating repertory. As a result, the standards established for the profession by Garrick and Charles Macklin in the late 18th Century fell away, to be replaced by something akin to the naturalistic mumbling and gesticulating of our film and television actors. Keen on fluff, Victoria also attended the Opera. A double-box in the grand tier at Her Majesty’s Opera House cost £ 8,000 for a year, i.e. £800,000 in terms of today’s purchasing power. Not all lived that way. “Pale and haggard faces, lank and bony figures, children with the countenances of old men, deformities with irons upon their limbs, boys of stunted growth, and others whose long meagre legs would hardly bear their stooping bodies, all crowded on the view together; there were the bleared eye, the hare-lip, the crooked foot, and every ugliness or distortion that told of unnatural aversion conceived by parents for their offspring, or of young lives which, from the earliest dawn of infancy, had been one horrible endurance of cruelty and neglect. There were little faces which should have been handsome, darkened with the scowl of sullen, dogged suffering; there was childhood with the light of its eye quenched, its beauty gone, and its helplessness alone remaining; there were vicious-faced boys, brooding, with leaden eyes, like malefactors in a jail (…) With every kindly sympathy and affection blasted in its birth, with every young and healthy feeling flogged and starved down, with every revengeful passion that can fester in swollen hearts, eating its evil way to their core in silence, what an incipient Hell was breeding here.” Charles Dickens, Nicholas Nickleby, 1838/39. How like the Bantustans (banlieues) of France under Apartheid in 2013. It was thus one year after repeal of the Theatrical Licensing Act, that Phelps removed to the Islington theatre called the Sadler’s Wells. In 1680 a Musick-Hall was founded by one Sadler of Islington, in whose garden stood a well, with waters reputed miraculous. Sadler would put on entertainments for those who flocked to the garden. By the late 18th Century, a stone theatre had been put up, to hold about 2600 spectators. Early in the 19th Century, a vast pool was fitted out beneath the stage, and the theatre became the scene of “nautical drama” … shipwreck, and so forth. In fact, the Sadler’s Wells was attended by an unruly mob. There Phelps was to shew how considerable an impact upon the population would the plays of Shakespeare have. At Sadler’s Wells between 1844 and 1862, Phelps’ capacity for hard slog defies description. He personally produced, staged and often acted, in thirty-one plays by Shakespeare, four never played since 1642, three never played since 1662 unless severely pruned; for seven of Shakespeare’s plays, Phelps threw out the stage-versions and restored the original text; he restored ‘minor’ parts that had been done away with by self-serving stars; did away with the star-system altogether and its “points”; trained actors in all features of technique; developed a new theory of stage decoration coherent with meaning. Curiously, he was the first, at least in England, to plunge the stage into darkness when the text called for it, with the 1851 production of Macbeth. Anticipating William Poel’s work, Phelps drove the action on relentlessly, allowing but five minutes’ pause between Acts (the theatre still used the awkward 18th Century ‘flats’, painted sets rolled out on grooves). In rehearsing, Phelps put his actors through strict vocal practice – reading of blank verse until it became second nature; bell-like clarity in enunciating vowel and consonant sounds, variety of emphasis, long bow-strokes in phrasing. The style he taught was, we learn from journalists of the day, the “old heightened” style, as opposed to the conversational or drawing-room style that was then coming into fashion, a style too weak – like television speech today – to carry poetic drama . Amongst the most astute observers of Phelps’ vocal work was his disciple Forbes-Robertson , who writes that the master had developed “a voice, whose compass embraced every shade of emotion…). “[He] attached considerable importance to the canine letter, and often said that the rolling of the r, when judiciously introduced, gave strength and dignity to the language. This was first forced upon his attention when playing in the North of Scotland, and it was in Dundee and Aberdeen, especially in the latter, where he first caught up the Scottish accent…” Forbes-Robertson and May Phelps, The Life and Life-Work of Samuel Phelps. To his right, his wife and acting-partner, Gertrude Elliott. As it happens, the trilled R is the touchstone of language. All sounds spring effortlessly up into the mask from whence they can be projected, the moment the singer or actor shifts from a guttural or near-mute R, to the trilled R. How very odd that the trilled R now be deemed unacceptable for the singing of French or German! In 1847-1848 there was a severe recession, and cholera spread through London. In one ‘infant refuge’ for workhouse-progeny, 146 inmates died in a single winter. Owing to Phelps’ policy, Sadler’s Wells was one of the few theatres that continued unaffected by the crisis. Based on the repertory system, that policy not only lessens the risk of a flop ruining a full season - since the plays are up alternately, the public will fill the theatre regularly, to “see what’s on”. At the end of eighteen years’ tenure at the Wells, with neither public subsidy nor Royal patronage, Phelps proved financially successful throughout, despite prices pitched to low wages (a shilling in the pit, sixpence in the gallery). After only a year’s tenure, by 1845 the Wells began to draw in the intelligentsia from elsewhere in London, such as a group of medical students from Saint Bartholomew’s Hospital. “The remainder of the house”, comments Forbes-Robertson tartly, “contained the aristocracy of every grade, except that of birth; and even this last-named class was not without occasional representatives to maintain its reputation for mental vigour”. By 1847, the Sadler’s Wells was being spoken of as the unofficial national theatre of England. “When Shakespeare was fashionable at the Court end of town, the higher classes arrogated to themselves finer … perceptions than their more Eastern neighbours. [His] wisdom was said to be inappreciable by the vulgar multitude out of Westminster, and it was declared to the House of Commons and Lords by our hereditary legislators, that if Shakespeare’s plays were permitted to be played out of the Court precincts, he would be desecrated; that the enunciation would be so vile, and the representation so mean, that it would be national disgrace. A few men could not think that the substitution of his grand illustrations of human nature for the insane trash usually bestowed on the suburbs, could do injury either to the dramatist or to the audience. In 1855, the German novelist Theodor Fontane travelled to England, to report on what was up with Shakespeare; the essays were collected and published in 1860 under the title Aus England. Studien und Briefe über Londoner Theater, Kunst und Presse. After watching Kean’s Henry VIII at the Princess Theatre, Fontane “agreed with the general view, that [not the Princess but] the Sadler’s Wells is Shakespeare’s true playhouse … a People’s Theatre” (im grossen und ganzen eine Volksbühne). “Man merkt die geschickte Hand die das Ganze leitet” (a skilled hand, evidently, steers the whole”). In the identical time-frame, reported Fontane, the Sadler’s Wells had put on thirty-one plays by Shakespeare (as well as other major works), while Kean had given but seven. Having poured thousands of pounds into sets and costume, Kean bogged himself down into 150 performances of Henry VIII. Regietheater or The Poet’s Meaning? Throughout Europe, the past thirty years have seen all major theatrical productions, including opera, became the plaything of an all-powerful Enfant-Roi: the Régisseur or Metteur en scène, a phenomenon generally known by the German term Regietheater. Not new, however. Before Phelps reshuffled the pack, the expense lavished on realistic décor and costume in the ‘legitimate’ theatre beggars belief, and live animals were to be seen disporting themselves on stage. Regietheater exists to make the régisseur a very wealthy man, and to disguise the play’s actual meaning, for a great artist’s priorities will always be unacceptable to those who live by exploiting others, and reducing them…to homunculi. “Better are bare boards and immoveable scenery, with the fervour and genius that can delineate human character and passions, than an overwhelming show that dwarfs the actor to a homunculus”. In 1845, Phelps opened the season with the first uncut King Lear seen since Shakespeare’s day – in the intervening centuries, even the Fool had gone lost! On the death of his wife, Phelps left the Sadler’s Wells, although he continued to play until his last day on earth. The Manchester Examiner, on Phelp’s final performance in Henry VIII, 1877. “His quite unique experience as a manager – when through a series of years he brought all the plays of Shakespeare home to the sympathies of a London suburban theatre … will live in the annals of the English stage … When benevolent minds seek to bring the influence of the drama into harmony with the true ends of all popular culture … they may take courage [from Phelp’s example] to point the moral that when ‘The Thing’s to Do’, it should and may be done. “Some years ago, I took an obscure theatre in the North of London called Sadler’s Wells, and nearly the whole of my brethren in the profession … said it would not last a fortnight. It lasted eighteen years, and my stock-in-trade chiefly consisted of the plays of Shakespeare. Now I determined to act, if possible, the whole of Shakespeare’s plays. I acted thirty-one … from aged Lear to youthful Pericles, and the thought begotten in my mind latterly was, that if that theatre could be made to pay, as I did make it pay, not making a fortune certainly, but bringing up a large family and paying my way – well, ladies and gentlemen, I thought if I could do that for eighteen years, why could it not be done again? But mark you, I found that about every five or six years, I had fresh audiences, that plays would bear repeating again and again, and by a peculiar economic method of my own, I was enabled to repeat them without any very great expense. The thread that Phelps left fall with his death, was picked up by William Poel who, though neither a great actor, nor even a great stage manager, was to transform the understanding and staging of Shakespeare as thoroughly as Pau Casals and Wanda Landowska were to do with the playing of Bach. Here, our source must be the only biography ever written of Poel, that by his pupil Robert Speaight (1954). Poel was born in 1852 to William Pole (sic), a professor of civil engineering, who was also an excellent mathematician and musician – in fact he became the Vice-President of the Royal College of Organists. His maternal uncle Henry John, was a renowned organist and organ-factor and Poel himself learnt to play the ‘cello. Both his parents (indeed his entire family), were intellectuals who, in the words of his disciple and biographer Robert Speaight, handed onto their son “a care for detail, an incapacity for compromise and a reverence, which was in itself a form of piety, for whatever work he had in hand”. As a youth, Poel suffered from what we would now call “attention deficit” at school – his health was as unreliable as his academic ability. Rather than risk University, he chose to become a draughtsman for a building contractor’s firm. Disliking the work, Poel began to attend the theatre, as, he thought, a mere spectator. 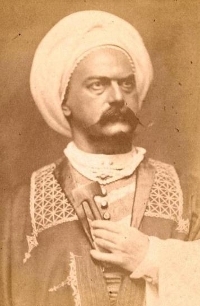 But Tommaso Salvini (1829-1915), the wonderful Italian actor, appeared in London in 1875 as Othello. To the astonishment of his entourage, Poel took to the stage as a super to study Salvini’s method. Salvini, he concluded, had banished all conventional stage business to found his roles “on careful study of the text alone”. At London, Salvini is known to have appeared in 1875, 1876 and again in 1884, when he played Hamlet. Whether Poel did in fact travel to Italy to work with him further, although mooted, remains to be documented. So it was that Poel quit his day-job, and in 1875, joined the troupe of Charles Mathews at Bristol, working in every capacity from bit-part actor to odd jobsman. He then joined Clifford Cooper’s troupe at Oxford, followed by James Scott’s strolling players in Yorkshire - “a shilling, a pole with a torn red curtain and a scene were all the exacting time had left to them” (Speaight). Chilled to the bone, hungry, with the stage-properties tottering on a donkey-cart, the actors pooled their savings; often, they would beg patronage from the manor of the village where they played. In 1878, Poel wrote to his sister that “my great ambition is to become the pupil of nature” and in that year, he began to tour the country alone, giving recitals of Shakespeare, Sheridan and other classic plays. On those bare platforms, he was, it seems, readying himself for the next stage of experiment. In 1879 Poel founded The Elizabethans, described by him as a small company of “professional ladies and gentlemen whose efforts are specially directed towards creating a more general taste for the study of Shakespeare”. In costume, though without sets, the troupe gave recitals from the plays in small cities of the South, playing in schools and halls. In such a bare-bones playing environment only the text, and how it was spoken, could matter – a stark confrontation that led Poel to compare the stage versions then in vogue, with Shakespeare’s actual text. Purportedly to improve the plays for acting purposes, literary editors of the 18th and 19th Century had, he promptly discovered, blithely wielded pen and scissors, altering the punctuation and kneecapping the action by a welter of Acts and Scenes. 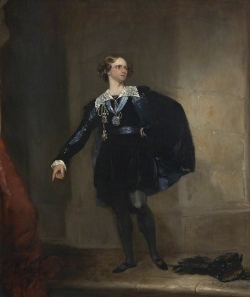 Although then quite unknown to academe, in 1880 Poel wrote out of the blue to Dr. F.J. Furnivall , President of The New Shakespeare Society, to ask whether he might deliver a paper on what, precisely, was wrong with the acting editions. So began a long association. By happy coincidence, William Griggs had only just published facsimiles of the First (1603) and Second (1604/5) Quartos of Hamlet. Soon after, on 16th April 1881, on a bare platform at St George’s Hall Regent Street, an amateur reading using the First Quarto took place. Teetering on the very edge of the laughable (Poel’s own ineffectual Hamlet, his Ophelia’s “vacant pathos”, and so on from there), nevertheless that performance was, in Speaight’s words, “historical … it announced the birth of a new idea. A first blow had been struck for Shakespeare’s integrity”. Not long after, the acting versions were to be ditched. “Entering my father’s house late at night, and sometimes early in the morning, fresh from contact with poverty and want and suffering – all those things which disfigure life and make existence so ugly and so terrible – how it came home to me, the frightful contrast … between the lives of the rich and the lives of the poor. I was haunted by that feeling, ridden by it, and could not be easy under it. And ever since those days I have striven to change the dramatic world, to alter life on the stage as we know it, to make it what obviously it should be, and what plainly it must one day become, an experience of the spirit of man evolving through beauty and knowledge towards the fullness and perfection of existence.” Interview to the Daily Chronicle, 3rd September 1913. In 1883, Poel went to work for six months as stage manager for Frank Benson, an athlete and famous beauty, who deserves a novel of his own – or at the very least, a biography! Enraptured with Shakespeare, to whom he and his spouse devoted life and fortune, Benson had begun his career by playing Aeschylus in the Greek whilst a student at Oxford. Untrained as Benson was, he acted erratically himself, but was nevertheless an inspiring manager of those who could. Poel saw in him a “typical Greek in nobility of thought, in seriousness of purpose, leader of this happy band of Arcadians”. “I keep silence concerning the external splendour, for this improvement of our stage requires nothing but money. The art needful to this end is as perfect in one country as in another, only decorators wish to be paid.” Lessing, Dramatic Notes, 1767. 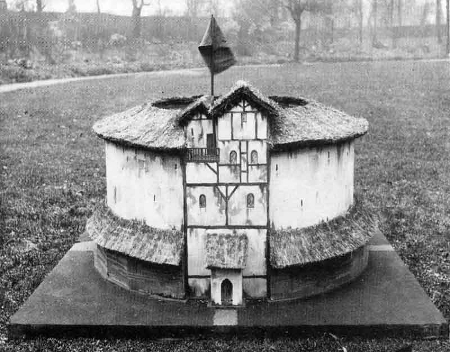 Following a decade on tour with players in Shakespeare readings, in 1893 Poel founded The Elizabethan Stage Society, which can be seen below in its very first of many subsequent experiments with the “Fortune Fit-Up”, a moveable frame-set designed by Poel. For the purpose, the interior of the Royalty Theatre was converted into a near-likeness of the old Fortune Playhouse, made feasible, by the lucky survival of the original builder’s contract. Something like this was finally built by Sam Wanamaker in London … in 1997. “Now for the difference between our Theatres and those of former times; they were but plain and simple, with no other scenes or decoration … but only old Tapestry, and the Stage strewn with Rushes. Whereas ours for cost and ornament are arrived at the height of magnificence, but that which makes our Stage the better, makes our plays the worse, perhaps through striving now to make them more for sight than hearing, whence that solid joy of the interior is lost …”. Richard Flecknoe, Discourse of the English Stage. Thus it was that Poel began to evolve a new theory of how to speak the plays. Since he had determined that the action was to surge forwards as a continuum, his players were to re-learn the Elizabethan technique of rapid, strongly-inflected speech, bearing in mind, that an actor speaking on the front of the Globe’s platform, would be but a few dozen feet from the farthest auditor. On the notion of key-word, Speaight reports that Poel believed that “if elocution is to imitate nature, a dozen or more words must be sacrificed so that one word may predominate and thus give the keynote to the tune of the whole sentence. In this way only can the sound be made to echo the sense”. And he continues “There was nothing esoteric about Poel’s technique of speech. For Poel, a play was primarily a thing heard, although he was careful of pictorial effect. He heard it as precisely as a composer hears the symphony he has just put down on paper” (emphasis added). 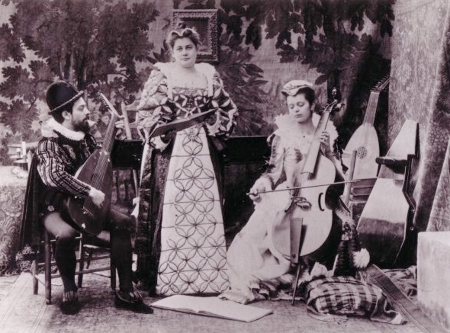 Arnold, Elodie and Hélène Dolmetsch on stage in 1895. Arnold Dolmetsch (1858-1940) was a French instrument-factor, musicologist and active musician, who removed to London to study early music. Owing to his pioneering endeavours in that field, he was soon to be closely associated with Poel. Cf. Dolmetsch online. Incidentally, in Poel’s 1898 production of the Ben Jonson Masque The Sad Shepherd, he used The Dancing Master (1650) to reconstruct dances to Elizabethan music, played by the Dolmetsch ensemble on period instruments. “William Poel playing upon the voices of American students has wrought a miracle. Those who have worried much over the horrors of the American’s acting voice, found relief from their pessimism. If William Poel can do so much with raw material in a few weeks, there is still hope for the some of the professionals”. Lest anyone think that Poel was trying to make his pupils adopt the upper-class English accent, one has but to listen to Lewis Casson, who met Poel in 1899 and became his disciple. As left-wing as he was Welsh, Casson stayed that way. To this, the objective, school of theatre, as opposed to Method Acting, the art of theatre is neither interpreting the author nor emoting. Casson’s term is “the thoughts of the writer”: not simply making oneself heard, but making thought heard. In 1922, Dr. Percy Simpson was to bear out many of Poel’s views when he published Shakespeare’s Punctuation. Though all the earth o’erwhelm them to men’s eyes. The point was raised in the famous second instalment of Playing Shakespeare, broadcast on Channel 4 in 1984 with John Barton of the RSC. Earlier, John, you said, ‘Pick up the cue at once’. What I think you meant is ‘Think faster’. I know that a lot of people, myself included, when we first come to Shakespeare tend to put in a lot of pauses while we think the thought and before we speak it. Absolutely… It’s no good if the richness and complexity of the verse leads us to think slowly and laboriously. Our naturalistic bias makes us use a larger number of pauses, both at the end of the line and within it. Withal, Poel was quite the prickly-pear: for no good reason, he would suddenly excise passages from even the greatest plays. He was wont to express significant ideas with quite unnecessary eccentricity, such as, “It is the business of life to make the thoughts and teaching of a great man understanded (sic) of the people”. As a drinker of milk and nibbler on nuts and seeds, he did not get (and would not hesitate to cut) the more ribald aspects of Elizabethan authors. In Speaight’s words, “if he had occasionally frequented a public house .. he could have heard people talk like Lucio and Mistress Overdone any evening of his life”. Again, his own acting skills were feeble, he could only faintly demonstrate himself the speech music he wanted, and the amateur actors he often had to use were pretty dreadful as well. But the strength of the idea was such, that it carried. Despite Poel’s small appetite for travel, he did visit the theatres of Austria, Holland, France and most especially Germany, a country that he visited before and after the Great War, and with which he entertained close ties. In Dresden and Berlin, he found, however, that by 1911, through producers like Max Reinhardt, Regietheater had acquired an overweening influence. Watching a production of Schiller’s Wilhelm Tell he felt that “the virtuosity of scenic illusion effectively prevented either the poet or the actor from making themselves heard” (Speaight). At the Royal Theatre Munich, its director, Jocza Savits (1847-1915), himself a renowned Shakespearian, had been following Poel’s work, and by 1890 had given the first Elizabethan production of King Lear. Savits and Poel became personal friends. Poel suggested that theatres be set up in England, run by workers’ committees. To Poel, the People’s Theatre in Berlin, with its 5000 worker- members, was an example “of how the protest of the depressed proletariat could be ennobled – not stifled – by communion with the greatest minds” (Speaight). 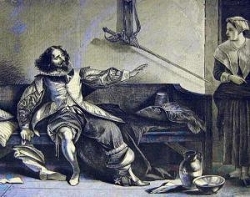 While visiting France, Poel watched Constant Coquelin (1841-1909), who created the role of Cyrano; finding him admirable, he concluded that in the English theatre, personality had been substituted for technique. Although in 1900/1902 Poel did propose a petition to the London County Council for a site on which to rebuild the Globe , and agitated for a National Theatre , he saw the priority to be not brick-and-mortar, but an endowment to train actors “until there were at least six Repertory Theatres in the provinces which may serve as the training ground” (The New Age – 22nd June 1911). Better to spend on the local theatres than to erect a costly playhouse, only to find “that they had no idea strong enough to fill it”. Sir Philip Ben Greet was born in 1857, offshore: Captain William Greet, R.N. being his father, Ben entered this world on HMS Crocodile, a wooden man-of-war converted to training ship and lying off the Tower of London. Although Ben was strictly educated at the Royal Naval School, his parents let the children rove the streets, theatres and other amusements. In his youth, Ben saw Samuel Phelps and Madge Kendal play. Distraught, then, the naval spouses were not, when in 1879, Ben Greet ran off to join J.W. Gordon’s troupe at Southampton, followed by three years with Sarah Thorne’s at Margate. In 1883, he made his London début (in Cymbeline), and by 1885 or 1886, had learnt enough to launch the first pastoral Shakespeare in the open air. Shortly thereafter, Ben Greet set up several troupes of strolling players, that became a training ground for many considerable artists. 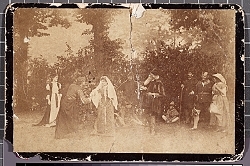 In June 1901, Ben Greet’s Woodland Players launched the first Regent’s Park playing season with three cycles of eight Shakespeare plays. By the 1890s, Ben Greet began to follow the work of William Poel; in 1902, they together produced Everyman , soon to be one of the early 20th Century’s most influential theatrical events. In 1896, he founded The Ben Greet Academy for Acting at 3 Bedford Street in the Strand, where young aspirants were trained in voice production, fencing, dancing, etc. before being sent out to tour with plays they had rehearsed. Amongst the aspirants, some became truly great actors, such as Leon Quatermaine or Edith Wynne Matthison. Disinterested, penniless and, need one add, a poor financial manager, by 1902 Ben Greet found it prudent to decamp for America with The Elizabethan Stage Company. There he remained for twelve years, whistle-stop touring Everyman and pastoral Shakespeare in the very rough  - ranches, high-school gymnasia, sports fields and school-yards – “any town that had a college or school hauled up its flag and Ben Greet and Company appeared” (Russell Thorndike). “Ben Greet came to America in 1902 with his revival of the old morality play Everyman . From that year until 1914, he was identified exclusively with the American stage. Not the wilds only benefited – to lasting effect, the ‘Ben Greeters’ played to the Ivy League Universities and in almost every large American city, both on the East and West Coast. Penned in 1911 for a Doubleday magazine, The World’s Work, the essay takes up six closely-printed pages; only the most salient points have been copied out here. “I propose that Americans commemorate Shakespeare’s tercentenary by building an institutional Memorial dedicated to his name and to the advancement of the drama. I propose that April 23rd 1916, should see standing in New York a Shakespeare Memorial Theatre equipped with a library, a school of acting and an endowment sufficient to ensure the authoritative performance of Shakespeare’s dramas, with other good plays old and new at low, even nominal prices. “The Shakespeare Memorial Theatre would be located in New York – the second-largest English-speaking city and doubtless destined to be the first. It would be down-town – not above Fourteenth Street I should say – so as to be within easy reach of the mass of the people. For it is among ‘the people’, in contradistinction from ‘society’ that Shakespeare is more appreciated.. . among the people of simpler life, the demand for the essential human drama remains insistent, and the loving appreciation of Shakespeare is as fresh as if the man were living …I would have admittance as low as ten cents – with stalls and box seats costing as much, perhaps, as a dollar - in order that the well-to-do may not be kept away by reluctance to sit in cheap seats. 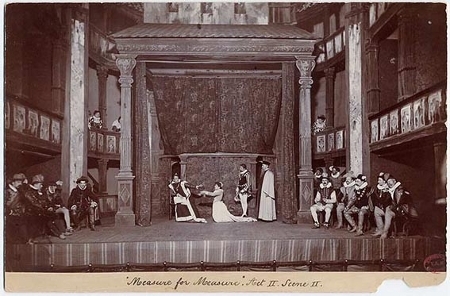 “I would suggest that the Memorial Theatre be bound to present Shakespeare at least at two performances a week, leaving the other evenings and matinée open for other classical and for the best modern plays. There should be two companies, one for Shakespeare and the other in modern repertory. Both should be made up of the best available actors of the contemporary American stage, who should whenever possible be Americans. “The star system should be positively prohibited and every player should understand that he must cheerfully take any role assigned him. “The speech of the Memorial Theatre’s players would furnish a standard of English pronunciation. A theatre with such a standard would furnish ambitious actors incentive to study, to read and to rehearse, as Shakespeare has never before been studied and rehearsed. In connection with the Theatre there should be maintained under capable direction a School of Dramatic Art where the same high standard should obtain. “Some have been so gracious as to think that when Mr. Frohman brought my Players over here in 1902, we helped to awaken the cult of a better drama. With all deference … I am only willing to think that we arrived at the psychological moment... The public was sated with French farce, bombastic romance and carelessly rendered classics, when a nameless cast of all-round efficiency arrived … in an appealing work of great dramatic power (Everyman – editor’s note). The result helped to prove … that the great public of this continent desired better plays… and now there is hardly a college in the country that has not its serious Dramatic Society. That is really all I will, myself, take credit for; anyone else could have accomplished the same thing if he had had sufficient confidence in the people. “The two companies … would be free to visit other cities for a part of many weeks … Thus, the Shakespeare Memorial would inevitably become an American National Theatre. “In this character, the Memorial would invite … companies of actors, English, German, French, Jewish, Russian, Italian, to render here in their own language classical and well-established plays. Also it might open its hospitable doors to such of our operas as can be rendered in the mother tongue. “Someone asked me the other day for evidence that the people wanted such a theatre. I could give pages of evidence… Seven years ago, the late Mr. Charles Sprague Smith asked me if I would help him give some plays at popular prices at Cooper Union. The idea seemed grotesque on Broadway, and the consent which I wrung from my Management was … obtained only on my personal guarantee of the salaries of our Company. Who dreamed that enough people would find their way to a hall below Fourteenth Street to pay the expenses of a first-class performance of a classical play? Well … the big hall was packed… Our experiment paid well, and was the beginning of what I believe is now the Drama Department of the People’s Institute. “The Manager and Director of the Shakespeare Memorial Theatre must be an American. “If I could train myself into any degree of aptitude for teaching young Americans for the work of the stage, I should be willing to devote at least half of my time endeavouring to raise up a new school of actors … At present, the companies running Shakespearean plays do so merely because they have worn out their .. melodramas. They broadcast a deformed and unscholarly version of the plays injurious to public taste, for no one of them could pretend to tell me that their diction, reading, accent, rhythm, pronunciation or characterisation are truly Shakespeare’s. “I foresee a series of municipal theatres on solid financial bases, giving regular employment to many actors, between whom and the admirable Actors’ Fund of America the profits would be partly divided. “The American Memorial ought not to be second to the London one, and surely the pride of the West will see to it that it is not. “It would probably be better to have the funds come from a multitude of men and women. I have sometimes dreamed that there might be a million who would give a dollar each for five years. That would be a Memorial indeed! Despite the most rudimentary of settings, costumes cut from old curtains, hand-held lights, baggy tights and green recruits, the reports that have come down to us of Ben Greet’s productions in America disclose a considerable power. “the fact remains that Ben Greet has done something never done since Shakespeare, and necessity demands it. He cuts the Gordian knot of conventional stagecraft, and just gives the play – we do the rest. Mind is the only material… he alone is great, who can make men change their minds. These woodland players capture young, old, innocent, intelligent, cynical, even dull and tired, in the silken spider thread of their art and bind them hand and foot.” Elbert Hubbard, Monograph on Ben Greet, 1908. Miss Wynne-Matthison en travesti as Everyman. In the midst of this excitement, the University of California’s President, the Greek philologist Benjamin Ide Wheeler (1854-1927), asked Ben Greet to take up its Chair of Dramatic Literature in 1906; he nonetheless chose to return to England in 1914 to open a chapter of educating the public mind through Shakespeare in the footsteps of Samuel Phelps. To understand how this came about, a few lines on the Old Vic’s history are in order. In 1880, Emma Cons (1836-1912), an artist, engraver and reformer, who founded the South London Dwellings Corporation, took out a lease on the Royal Victoria Hall and People’s Coffee Tavern – later known as The Old Vic. 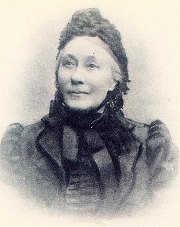 In her drive to transform the living conditions of London’s working class, Miss Cons – elected in 1889 first female alderman of the London County Council - had decided that they must also be provided, not with low-life burlesque and music hall, but entertainment of a higher order including opera. Financial and political backing came to her from two prominent German musicians: Sir Julius Benedict and Carl Rosa (who founded his own touring Opera Company in 1872), and from the latter’s close friend, Sir Arthur Sullivan. Between 1881 and 1883, Emma Cons collaborated with William Poel on the project. By 1891, thanks to a large donation from one Samuel Morley, she bought the freehold on the Royal Vic and shortly thereafter donated it to the Charity Commissioners, “to the benefit and enjoyment of the people forever”. Out in South Africa, Emma Cons’ niece, the violinist and soon-to-be-illustrious Lilian Baylis, was then bumping through the dust in covered wagons. As strolling players, her parents were the first to bring classical music to the Bantustans. 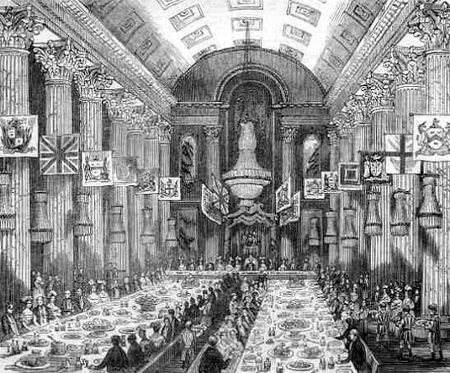 Miss Cons wrote to her, and asked her to return to London to take over the Royal Vic – hard benches, bare floor-boards, red cotton curtains and all. This she did, though at first with musical programmes; on Miss Cons’ death in 1912, Lilian Baylis became full manager. 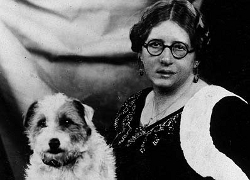 By 1914, Lilian Baylis felt prepared to branch out to The Merchant of Venice and Romeo & Juliet. It was the great Italian actress Rosina Filippi who put up these productions. They were followed by Twelfth Night and As You Like It. 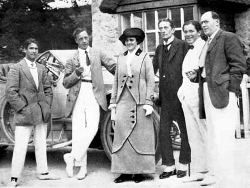 As the hot-tempered Filippi crossed swords with Lilian Baylis, a Vic Committee was formed to decide who, amongst several notable actors, would produce its Shakespeare: Matheson Lang, Frank Benson’s wife Constance, Andrew Leigh, and Ben Greet. Ben Greet got the luck of the draw and seconded Lilian Baylis for the next four years, putting up a different play every week. By 1918, Ben Greet had produced twenty-four of Shakespeare’s plays there, as well as a number of classical comedies and Everyman at Lent. In so run-down a working class area, the Old Vic’s astonishing success began to cause a stir. In 1915, the Reverend Stewart Headlam, an influential member of the London County Council’s Education Board, recommended that schoolchildren attend Shakespeare matinées. The Old Vic programmes thereupon appeared, free of charge, in the London County Council Gazette, which circulated to all the teachers. Matinées, first on the Wednesday, then twice a week, were scheduled. Very quickly, success was such that in a single week for example, over four thousand children saw As You Like It; they were soon followed by armies of parents and teachers. Eventually, over four hundred schools were involved with the Old Vic. To deal with the formalities, the teachers themselves founded The London Central Shakespeare Committee of Teachers. 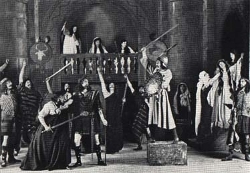 By 1918, the London Central Shakespeare Committee saw that all London needed the performances, and committees were set up at Whitechapel, Hackney, Chelsea, Hammersmith, Woolwich, Balham and Tooting, St. Pancras, Islington and Paddington. At the request of the Schools Committee of the Board of Education, Ben Greet resigned from the Old Vic and toured his own troupes for schoolchildren, playing in any hall with a roof on. Although originally, the children had paid a few pence for entrance, it was felt that since Shakespeare had been worked into the schoolday, and education was to be free, the children should pay nothing at all. The London County Council then covered the costs incurred by the London Central Shakespeare Committee of Teachers. Between 1918 and 1921 in Greater London, Ben Greet’s players performed over five hundred times to an average of a thousand children each matinée. 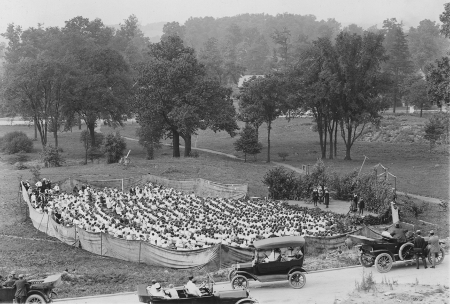 Over the 1914-1921 period, one million tickets had been bought for schoolchildren. However, in March 1921, the London County Council’s auditor blue-pencilled the subsidies, allegedly on account of their lacking statutory authority. It took three years for things to be sorted, and the programme never recovered the extent it had previously known. 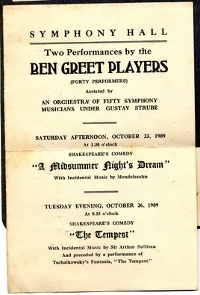 Ben Greet returned to the Ben Greet Academy, as well as establishing a School of Shakespeare at the Blackfriars Theatre (circa 1927) and a City Evening Repertory Club, where young actors would try themselves on new, unacted plays. In the autumn of 1929, Ben Greet and a troupe of sixteen players returned to America, with Everyman, the First Quarto Hamlet, and several of Shakespeare’s comedies. On the twenty-two week tour, they played in one hundred and thirty cities to two thousand or so spectators a night - a total public of roughly half a million individuals. One year later, the autumn of 1930, they returned, and played to one hundred and twenty thousand people on a sixty-city tour. Note Mr. Bellew’s mastery of 18th Century gesture. Initial results bear out Samuel Phelps’ in his prescience. Working in concert with Neil Roberts at the Magnetic Resonance and Image Analysis Research Centre (University of Liverpool) and Guillaume Thierry on EEG equipment (Bangor University) Professor Davis has asked, in a Herbartian way, that one scrutinise the workings of creativity – unlike so much “brain” research that can fairly be brushed off as malevolent experiments with massaging the popular mind. To those associates, Professor Davies suggested pursuing experiment on a phenomenon in Shakespeare known as ‘functional shift’ or ‘word class conversion’; i.e. how Shakespeare will put one part of speech, such as a noun, to serve as another, often a verb. Professor Davis gives a few examples: in Lear, ‘He childed as I fathered’ (nouns shifted to verbs); in Troilus and Cressida, ‘Kingdomed Achilles in commotion rages’ (noun converted to adjective); in Othello ‘To lip a wanton in a secure couch/And to suppose her chaste!’ (noun ‘lip’ to verb; adjective ‘wanton’ to noun). What the team has been able objectively to measure, is that ‘functional shift’ is a “robust phenomenon”, in other words, one with a “distinct and unique effect on the brain”. Moreover, they have found what is known as a “P600 effect”, a parietal modulation “peaking approximately 600 milliseconds after the onset of the word that upsets syntactic integrity”. This would appear to “prime the brain to look out for more difficulty and work at a higher level”. These studies are coherent only with the objective school of theatre – that has been led, for our contemporaries, by John Barton, that school which relies upon trusting the science of Shakespeare’s language itself to do the job. Before us squarely then is the issued begged by Professor Davis’ hypothesis, viz., “why the nation needs it as a form of thinking which forbids mere knowing in advance”. Playing Shakespeare, by John Barton. Methuen, London 1984. Script of master classes filmed for television, now available on DVD. Bitter rivalry between the American actor Edwin Forrest and Macready, then on tour in New York, has been advanced to explain the worst theatrical riot in US history (Astor Place, 10th May 1849) where thirty people died. The actual cause was almost certainly political. 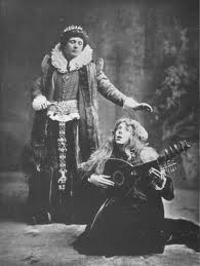 In listening to sound-recordings of Shakespearean actors from the late 19th and early 20th Century, bear in mind that the actors’ vocal technique was not designed for imprinting upon a wax cylinder. Theirs was a bel canto technique, apt to carry meaning throughout a large theatre, and right up to the Gods. Furnivall (1825-1910) evidently shared Poel’s political views. After reading mathematics at Cambridge, he turned to the law, and finally to philology. Involvement with the Christian Socialist movement led him to open in 1848, a school for poor men and boys. In 1851 he sold his library to support striking woodcutters and in 1852, set up the Working Men’s Association. Besides his sporting activities (! ), in 1864 he launched the Early English Texts Society, in 1873 the New Shakespeare Society, and in 1886 the Chaucer Society. “Hugo Becker also came from the time of pre-Casals (1876-1973) cello technique. I am fortunate to have a recording of Hugo Becker playing. Every time I listen to it, I praise Casals for putting an end to Becker’s and his predecessors kind of technique, which employs the "old fashioned" practice of repeatedly sliding between notes (slide up, slide down, slide up, slide down). Casals developed the technique of hopping, stretching, shifting between half-steps, and anything else to avoid the distracting audible shifts." Tim Finholt, Survey of Bach Suite Editions. 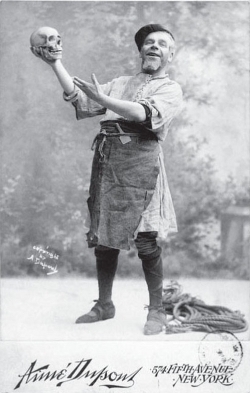 A most singular instance of « the tune », was the technique developed by Poel’s contemporary, the extraordinarily imaginative Albanian actor Alexander Moïssi, active in Vienna. Although the two were most likely acquainted – all the more so given Poel’s keen interest in the German-speaking theatre -the present writer cannot prove this at the present time. Built on the South Bank by the American Sam Wanamaker in 1997. Everyman, a morality play dating from the 15th Century, author unknown. In the United States, Ben Greet made the acquaintance of Helen Love Scranton, a pianist who managed the Kneisel Quartet, and was amongst the founders of The Beethoven Association. Much of the information on Ben Greet’s American activities was in fact collated by Miss Scranton. By some odd coincidence, our own copy of Ben Greet’s privately-published biography by Winifred Isaac, purchased second-hand, happens to be Miss Scranton’s autographed copy. Three hundred performances of Everyman were given in a single season in New York. Dr. R. Green of Mount Saint Vincent University, Halifax (Nova Scotia), has apparently unearthed film of some of these American tours. The Folger Library at Washington, DC was created only in 1932. « tel que je le perçois de mon ouïe intérieure, Shakespeare basé sur la symphonie, la phonétique, le rythme, la sensation du verbe et de l’acte, le véritable son de la voix humaine, basé enfin sur le développement simple, noble, logique du sentiment et de l’action ». Quoted by Michel Grivelet, in the Bouquins Shakespeare collection. Author of The Shakespeared Brain – Shakespeare and Neuroscience - in NeuroImage and Cortex, 2013.